November is going to be a big month as there will be two eclipses (A solar eclipse in Scorpio and a lunar eclipse in Gemini). Additionally, the planet of Communications (Mercury) retrogrades in the sign of Sagittarius. November will be a month to remember for all signs, so let's take a look and see what is in store for you personally, Taurus. The planet of love, Venus (Your planetary ruler, Taurus), begins the month in Libra, your solar 6th House health, wellness and your daily routines, Taurus. The 6th House deals with repair and maintenance issues and it also covers your work place. These areas will be fortunate for you, Taurus. This is a great time to rethink how you take care of yourself, mind, body and spirit. With Venus in your 6th House, you could find romance on the job and notice that socializing with daily associate increases during this transit. Those Taurus who have been frustrated with career progress find November to be more stable and enjoyable. The transit of Venus in Libra began in late October (10/28) and will end on11/21/12.This is a great time to focus on your health and kick bad habits, Taurus. Mercury (Communications) will retrograde between 11/6 -11/26 in the sign of Sagittarius, your 8th House, Taurus. This is the last Mercury retrograde of 2012, Taurus. Whenever Mercury retrogrades, look to the House that it falls in. For you, Taurus, it's your 8th House of insurance, taxes and resources you share with another. There could be some delays or miscommunications in all areas regarding the 8th House. The 8th House also deals with how you handle issues of endings and deeply committed relationships. Expect these areas to slow down, or be filled with delays or misunderstandings during this transit. After 11/26, you will be relieved that this retrograde is over - as areas that were bothersome will seem less confusing and miscommunications with others can be clarified.Your best day this month will be on 11/26, when Mercury resumes direct motion. Mars (Sexuality/Energy) will also be in your 8th House (Sagittarius) until 11/16.This should be a time when your curiosity is heightened in all matters that are somehow offbeat or mundane as the 8th House rules so many areas/properties. 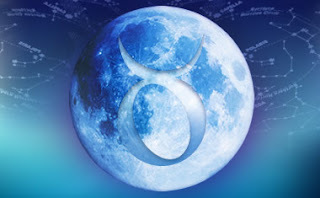 You will possess the focus and energy you need to explore and study areas that fascinate you, Taurus. The 8th House rules subjects considered taboo and subjects that run from deeply committed relationships to areas such as mortgages, insurance and taxes. Mars brings energy while Venus brings love and attention. On November 16th, Mars will enter the compatible earth sign of Capricorn and your 9th House of travel and worldviews. Whenever the personal planets change signs, you notice a shift in energy, not only yours, but also with the areas of the House that they enter. Special for Taurus: Mars can make come across as aggressive if you tend to react as opposed to thinking things out in a rational way. You are a practical earth sign so this shouldn't be a problem for you. Think twice before you say or blurt something that could have lasting repercussions, personally or professionally. If coupled, focus on nurturing your partner. If single, try not to begin any new relationship during Mercury retrograde. A Solar Eclipse and New Moon occur in the sign of Scorpio on 11/13. This eclipse will transit your 7th House. To learn more about how eclipses affect you, always look to the House that they fall in and the properties of that House. Typically, in Astrology, eclipses signal beginnings and endings. This eclipse will be fortunate for you, Taurus. It brings about new offers regarding to partnerships, such as business and romantic relationships. This is good news, Taurus. Then at the end of the month, another eclipse and a Full Moon will fall in Gemini and your 2nd House of finance. More good news, Taurus? Jupiter (Planet of expansion and prosperity) will be at a close degree to this eclipse suggesting that you will benefit from areas such as finances and assets. You might hear something that relates to your finances and the news you hear will benefit you.To see/learn more about how these eclipses work, what they represent and how they could further influence you, click here. The signs of Aries, Libra and an Aquarius will play active roles in your life this month, Taurus.